What's the Best Way to Approach Buying and Selling at the Same Time? Taking on two transactions at once can feel overwhelming. Today I’d like to discuss how working with a Realtor can be the best solution for buying and selling at the same time. Buying and selling at the same time can be quite a complicated thing. There are so many moving parts to the buying process alone that a simultaneous transaction can feel like putting together a puzzle with missing pieces. Working with a professional can, thankfully, help to ease this process. For example, imagine that you want to upgrade to a larger, more expensive home. Filling out a net sheet with the help of a Realtor can help you estimate how much money you’ll earn from selling your current home. This is just one way to take some of the pain out of a simultaneous transaction. In any home purchase, the first step I recommend is to get pre-qualified. Determining how much you can afford and sorting out the amount you’ll be able to spend on a down payment will start your home search off on the right foot. You can also use equity from your current home to help facilitate your next purchase. Your Realtor should have a good idea of how the pieces of the real estate puzzle should look when they’re finally put together. 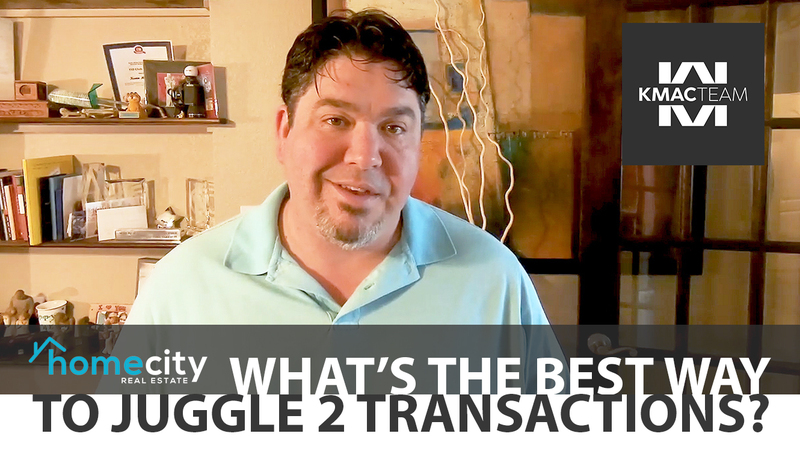 Still, preparing yourself to handle two transactions at once can only get you so far. Only a professional will truly be able to see and navigate the big picture. So, it’s important that you work with someone you trust. There are just some things you will have to put in their hands. Give yourself some leeway with your expectations for the process, especially in terms of your budget. The final disclosure statement won’t be set in stone until three to four days prior to closing. Until everything comes together toward the end of the process, you’re going to need to be flexible. Thankfully, your Realtor should have a good idea of how the pieces of the real estate puzzle should look when they’re finally put together. If you have any other questions, would like more information, or want to know how my team and I can help you achieve your real estate goals, feel free to give me a call or send me an email. I look forward to hearing from you soon.